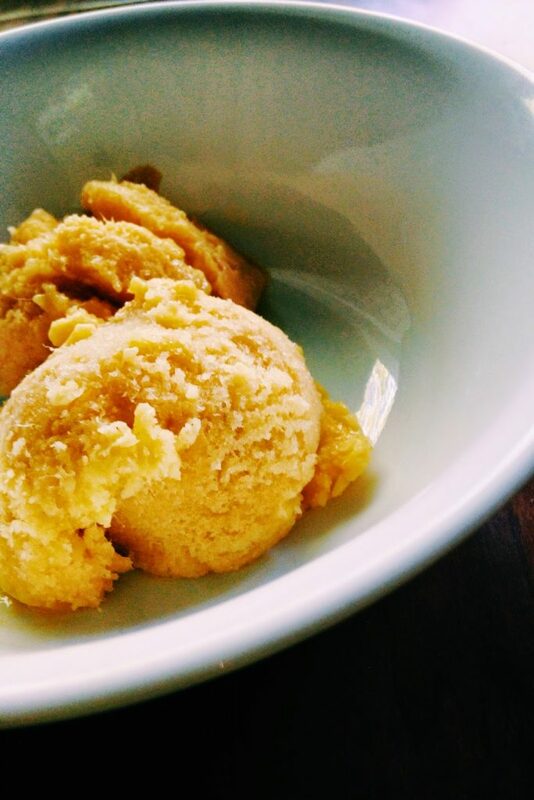 Feast your eyes on this – Mango and coconut ice-cream made with only 3 ingredients! Also without an ice-cream machine. It happens every mango season. I see, I get overcome by emotion, I buy – more mangoes than I need. So I had these beauties sitting pretty in the fridge and half a can of coconut milk. I really wanted to make a mango-colada minus the alcohol. But after researching some recipes on the internet, this is what I came up with. Since it doesn’t have cream in it, the texture is like a cross between an ice-cream and sorbet. An ice-bet? Blend all the ingredients. Taste to check sweetness. Try not to consume everything. Transfer to a freezer-proof bowl and let it freeze for about 4 hours. Remove from freezer and mix it with a fork. Put it back into the freezer and let it set. It’s really that easy. You’re very welcome.